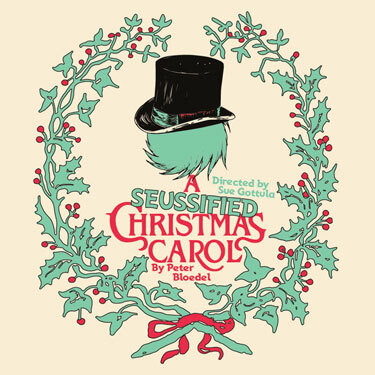 This holiday season, come enjoy a whimsical mash-up of Dickens’ most beloved Christmas story­­—with a few Seuss-style characters thrown in. From zoot-fruited juices and binka bird geese to Bed-Headed Fred and Timmy Loo Hoo, this tale of holiday cheer is similar to something Dr. Seuss might have come up with if he had his way with the story! Directed by Sue Gottula, this all-local cast of characters is sure to charm audiences and get folks of all ages into the holiday spirit. DATES: Dec 7-16; Fri-Sun, 7pm; Sun, 2pm. Thurs, Dec 13, 7pm is Pay What You Can Night. TICKETS: $5-$7/children; $16-$18/adults. Purchase at mercplayhouse.org or at the door. Doors open 30 minutes prior to show time. LOCATION: The Merc Playhouse, Twisp, WA. INFO: 509-997-7529.